View the famous Cocoa Beach Pier & Ocean from this spacious 3,400 sq ft corner condo. Wood flooring & tile throughout are great for sandy feet. Designer plantation shutters. Large, open Chef's kitchen w/ Corian counters and stainless-steel appliances. Double door entry leading into master bedroom with expansive closets & attached office. Master bathroom is a dream with double vanity, garden tub, separate shower, and 2 water closets! 2nd & 3rd bedrooms have their own wings. Bonus den great for office, playroom, or media room. Generous laundry room with LG front load W/D, cabinets, counter, and laundry sink. Electric hurricane shutters are easy to use and provide big insurance savings. 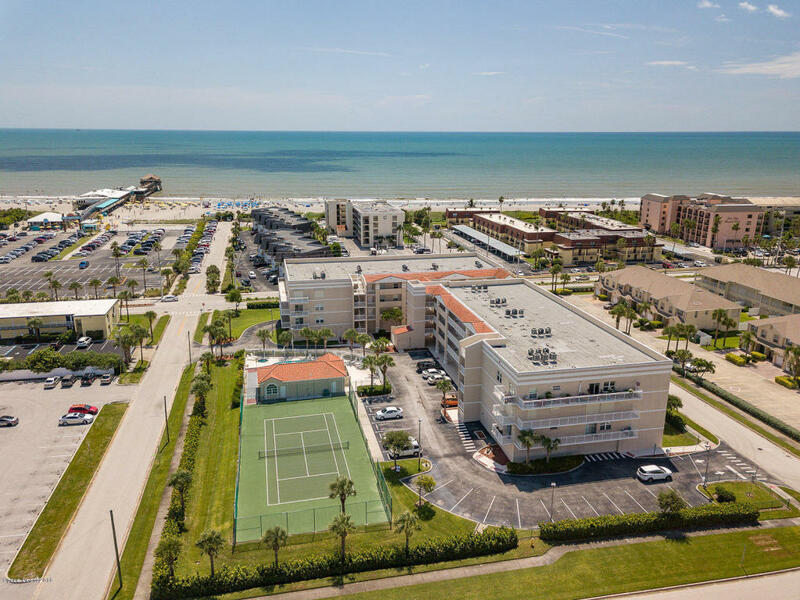 Come live the Florida lifestyle just steps from the beach, restaurants, shopping, & the Cocoa Beach Pier.